Friday’s announcement instructs the Taliban mujahideen, or holy warriors, to “launch jihadi operations with sincerity and pure intentions,” strictly abiding by the Taliban command structure. It also urges fighters to avoid civilian casualties, as previous announcements have. 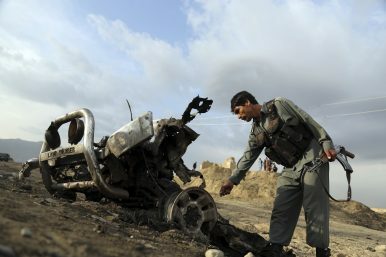 The UN’s annual report earlier this year said civilian deaths hit a record high in 2018, blaming the Taliban and other militants, such as the Islamic State, though it also noted an uptick in civilian casualties from U.S. bombing raids, most often in aid of Afghan troops on the ground. In Kabul, the Afghan High Peace Council, a government body created years ago to talk peace with anti-government forces, condemned the Taliban announcement, saying it brought into question the insurgents’ sincerity in seeking a peaceful end to the war. U.S. envoy Zalmay Khalilzad, who has escalated efforts to find a peaceful end to the war since his appointment last year, has been urging the Taliban to accept a ceasefire and hold talks directly with the Kabul government, something the insurgents refuse to do. The Taliban, who see the Afghan government as a U.S. puppet, say they will talk to Kabul officials at the upcoming Qatar meeting only as “ordinary Afghans” and not as government representatives. By Amir Shah for the Associated Press. Associated Press writer Kathy Gannon in Islamabad contributed to this report. The Diplomat contributed reporting.